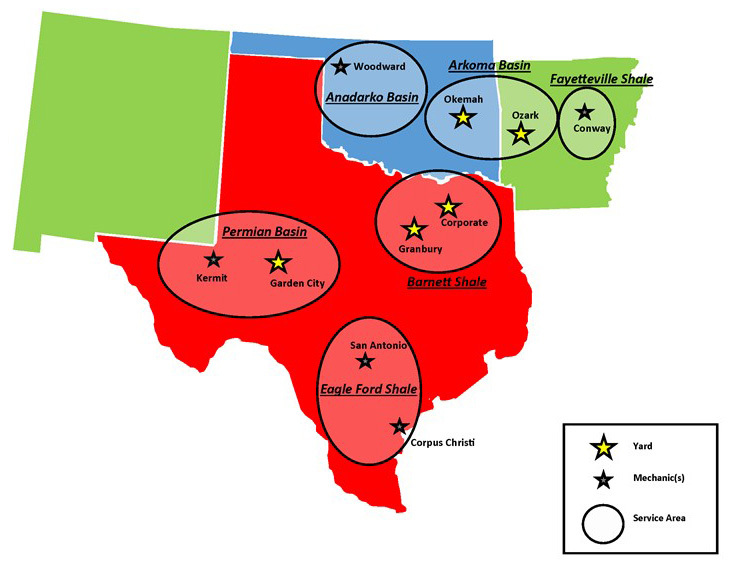 OTA Environmental provides compliance and regulatory services at the local level by having field offices in the major shale and conventional basins of Texas, New Mexico, Oklahoma, and Arkansas. We are a full-service firm focused on the oilfield. Our technical and regulatory staff includes engineers, environmental scientists, and geologists with over 100 years of combined experience. OTA Environmental is a registered Geoscience firm in the State of Texas, and we have developed a process to help simplify environmental compliance. OTA Environmental provides environmental and regulatory solutions for the oilfield – consulting, equipment, and field service. We are a full-service firm focused on the oilfield. This includes acquisition support and on-going services. Environmental issues are only growing and will continue to do so. We are in a good position to cost-effectively assist with these issues. President and Owner of OTA Compression, LLC, OTA Environmental, Kimark, and President and Founder at PetroGrowth Advisors. Mr. Swartzwelder’s experience spans over 30 years in the energy industry as an investment banker, owner/investor, operator, and engineer. Grant received an M.B.A. from the Harvard Business School (1990) and his B.S. in Petroleum Engineering from Texas A&M University (1985). Mr. Swartzwelder is the majority owner in multiple oilfield services companies. Currently, OTA Compression, a wellhead compression, and vapor recovery unit manufacturer, OTA Environmental, Kimark, and Tex‐Star Water Services, a water transfer and well testing company. He has extensive capital raising and Merger & Acquisition experience with exploration and production and oilfield services companies. 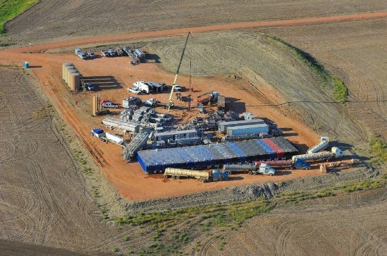 Prior to forming PetroGrowth Advisors, Grant worked for The Principal as an Energy Investment Banker (1995‐1997), at ENSCO in charge of acquisitions (1990‐1993) and for ARCO Oil & Gas as an Operation/Analytical Engineer (1985‐1988). 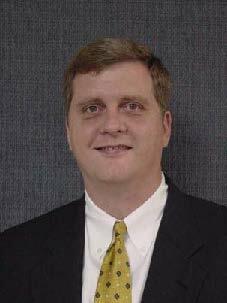 Mr. Swartzwelder is affiliated with industry groups such as ADAM, Association of Energy Service Companies, Energy Finance Discussion Group, Permian Basin Petroleum Association, Dallas Petroleum Club, Texas Independent Producers and Royalty Owners Association, and Oklahoma Independent Producers Association among others. Mr. Swartzwelder has received the Dallas Business Journal Top Under Forty in 1994, Leadership Dallas graduate in 1993, and is an Eagle Scout and 198 National Representative for the Boy Scouts of America. Mr. Swartzwelder, his wife, and two daughters, reside in Dallas, Texas. OTA was established in January 2004, with six employees and two offices in Texas. Our goal was to safely furnish quality environmental services to our clients. 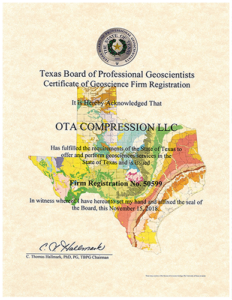 OTA is now registered with the State of Texas as a Geoscience Frim with registration number 50599. Our clients from across the United States believed in us as individuals and as a young company. These relationships formed the foundation for the corporate culture OTA sustains today. We treat customers as friends, and we get the job done safely and efficiently using innovative strategies to save clients’ money. Our client base includes Fortune 500 energy companies, oilfield service firms, pipeline companies, real estate firms, municipalities, various smaller companies, as well as federal and state agencies. Grant Swartzwelder directs all business and financial activities for the Company. 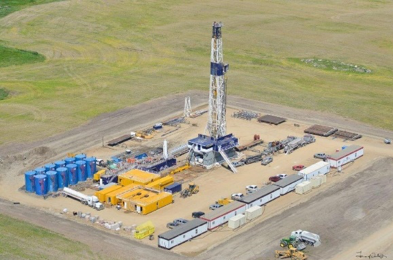 Swartzwelder has a history with starting up, growing, and profitability exiting from oilfield service investments. During the past 30 years, Swartzwelder has advised a variety of oilfield service and manufacturing companies on their growth, financing, and exits. This investment banking experience ensures that the companies are set up in the appropriate way to allow for capital raises and successful exits. Besides Swartzwelder, OTA has a proven and established management team, most of which have been with the company for five-plus years. OTA Environmental provides services at the local level by having field offices located in the major basins. OTA provides an established platform for organic and acquisition growth. The existing infrastructure allows for a ready vehicle for growth. Geographic presence. OTA already focuses on the key oilfield markets providing the bulk of future market growth. Sales force. Sales presence in each key geographic market with existing relationships can expand the lines they represent. Customer presence. OTA and Kimark have over 224 MSAs already in place and actively being utilized. In today’s market, having a MSA is critical.